Leganes vs Valencia predictions for this Sunday’s game in Spain’s La Liga as Los Che head to Butarque. Read on for our free betting tips and predictions. This Sunday’s game sees Valencia looking to extend a decent recent run of results in La Liga. They travel to Butarque to take on Leganes, who would actually move level on points with Los Che were they to win the game. That would put them in a real position of comfort as we head towards the end of the campaign. Mauricio Pellegrino is doing a pretty good job with the Madrid club, although they do come into this one following a rare off day, a 3-0 defeat at Real Sociedad last time out. They are always tough to play against at Butarque though and are unbeaten in 11 matches at home heading into this one. They are a team that knows their limitations but it increasingly looks like they will be playing in the Primera Division for the 4th consecutive season next term. Valencia no longer have anything to worry about in terms of their survival in this league. That was a minor concern at one stage when they could barely get anything going earlier in the campaign. However they have gradually eased their way back towards form and suddenly things are looking a lot brighter. They saw off Celtic in Europe with minimal fuss and are currently fighting in two cup competitions, while they are also back in with an outside shot of a top four finish in La Liga. They were able to rest players in both legs of the tie with the Scottish champions so fatigue shouldn’t be a major factor here, although they have played two games per week throughout 2019 so far. Valencia remain La Liga’s draw specialists with a huge 58% of their league games this term ending level and this in truth has all the makings of a repeat. Leganes are tough to beat at home but they do also draw quite a lot of games. Indeed 5 of their last 9 at home in all competitions have ended level. They’ve only lost once at home in La Liga this term and overall backing the Draw looks like the way to go here in the Full-Time Result market. It’s very hard to see much goalmouth action in this either. Valencia have kept clean sheets in each of their last 4 matches in all competitions. They have the second best defensive record in the league with only 0.83 goals per game conceded and just 29% of those matches have produced over 2.5 goals in total. 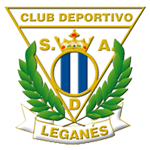 Leganes though have only let in 0.82 goals per game at home and with two solid defences in opposition, it’s very hard to see many chances in this one and backing Under 2.5 Goals & Both Teams to Score – No could be worth a punt. CD Leganés are winless in their five LaLiga meetings with Valencia (D1 L4), failing to score in three of them. 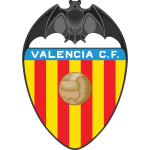 Valencia have won each of their three competitive games at Butarque – two in LaLiga and one in the Copa del Rey. This will be Leganés’ 50th home game in LaLiga (W19 D15 L15), while they’ve kept a clean sheet in 44.9% of their home games in the top-flight (22 out of 49). Leganés are unbeaten in their last nine games in LaLiga at Butarque (W5 D4), their longest streak in the top-flight. Valencia have drawn 0-0 in each of their last two games in La Liga – the last time they played out more consecutive goalless draws in the top-flight was in February 1969 (four). 44% of the goals Leganés have conceded at home in LaLiga this season have been headers (4/9); a league-high percentage. No side in the top five European leagues have had more goalless draws than Valencia this season (5 – along with Reims and Torino). Leganés’ Youssef En-Nesyri has scored eight goals in LaLiga this season, and is only one goal away from becoming the club’s top scorer in a single top-flight campaign (Alexander Szymanowski scored eight goals in 2016/17). Valencia’s Rodrigo Moreno has scored in two of his last three LaLiga appearances against Leganes (two goals). Valencia’s Marcelino García Toral is unbeaten in his five managerial games against Leganes in all competitions (W3 D2), winning his two previous trips at Butarque.